I've never watched a single game of the NCAA Tournament as far as I can remember. Then again, this is the first time in my lifetime that Yale has made it to the event which is often referred to as March Madness. Yes, the last time was in 1962 (I'm old but I'm not that old) and Yale has never won a game in the tournament. I went into this game with little expectations because I hadn't seen any of the Yale basketball games this season but my Dad did tell me they have a good team. Though in the pre-show Charles Barkley flat out said Yale was going to get killed because they're an Ivy League team. The first half of this game was a bit of back and forth by both teams, each having the lead at different times but not by much. And then it happened. A player for Baylor got cocky. After scoring a slam dunk with style, he pulled his legs up and got called for showboating or whatever which gave Yale free throws. These were not the points that Baylor needed to give up and this was certainly not the way that they wanted to give them up either. It seemed to be, going into halftime, the biggest factor in the game as the tide had seemingly shifted towards Yale. As the teams came back from the half, Baylor already seemed defeated. First, two Baylor players began arguing with and then shoving each other. Then, underneath the net, one Baylor player elbowed another (by accident) and caused a bloody nose. Baylor became their own worst enemy. Baylor kept missing shots and Yale kept grabbing the rebounds. At one point, a Baylor player seemingly became so frustrated that as he sailed out of bounds he threw the ball at a Yale player, trying to deflect it out of bounds and gain a possession for his team. But this wasn't dodgeball. This was an exciting game because it didn't come down to a single play or instance until the very last play. Both teams had the opportunity to win this one and I liked that most about it. I think a lot of people thought Yale would lose and this would be some kind of blowout and not even worth watching but this was an edge of the seat game because even with Yale up at ten points or so (Their biggest lead was 13 points) it never went to the point where the other team couldn't recover so you always had that thought in the back of your mind that Baylor could come back and win. Yale also never had more than a single digit lead when there was only two minutes or less in the game. It was- literally- madness. With one minute left in the game, Yale was up by only two. Then Yale was double teamed trying to bring it back in and bullied out of bounds. Just under a minute left in the game and Yale was back up 74-70. Baylor takes it back down and with 43 seconds left on the clock Baylor gets called on an offensive foul. Unbelievable! Both free throws missed by Yale. Baylor gets two back and we're at 28 seconds, 74-72. These is the type of situations movies are made about, people. Brandon Sherrod is at the free throw line and hits the first one to give Yale a 78-75 lead. He hits the second one and Yale goes up by 4 with 2 seconds left. Baylor fires a shot from just past half court and it comes up way short but it doesn't matter. 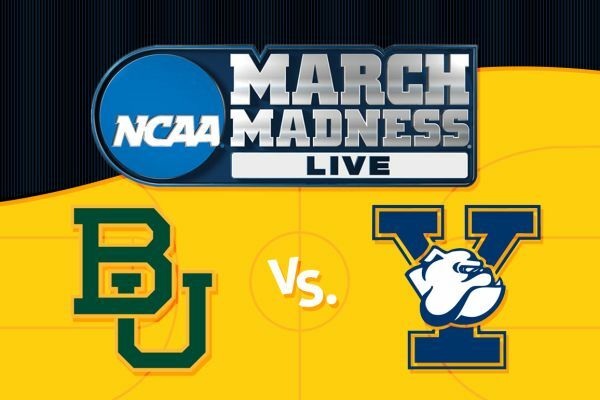 The clock is expired and Yale has won their first NCAA Tournament game 79 to 75 over Baylor. Wow was that nerve-wrecking. If I had to do this every year I think it would take years off of my life in the long run. I have no idea how I'm going to get through Yale playing Duke on Saturday but I am certainly looking forward to it.